The Pacific Northwest consists of a diverse region of landscapes stretching from British Columbia through Washington State to Oregon. Included in this region are mountains, miles of coastline, rainforests and deserts. Consequently, the Pacific Northwest is also home to a diverse array of plants. Identifying Pacific Northwest plants requires general plant identification knowledge, familiarity with the various growing landscapes and a helpful guidebook. Plants are identified by their particular characteristics. Take note of the plant's leaves. Leaves can grow opposite one another or in alternating patterns up the stem. Additionally, their margins, or edges, can be smooth, lobed or serrated. Many Pacific Northwest plants, such as the native Nootka rose and evegreen huckleberry, also produce flowers and fruit. Once you have a complete list of leaf, flower and fruit characteristics, you will be better able to identify your plant with the help of a plant identification guidebook. The Pacific Northwest is home to many species of evergreen and deciduous plants. 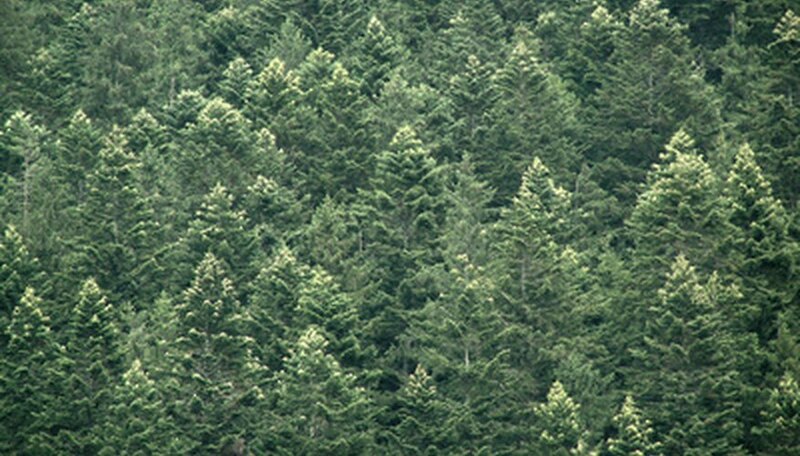 Douglas firs are a common coniferous evergreen that grows throughout the region. It is most easily identified by its pyramid shape growing habit. Other common evergreen trees include cedars with their distinguishing strips of bark and hemlocks, which have flat, lacelike leaves. Deciduous plants, unlike evergreens, lose their foliage during the winter months. Determining whether your plant is evergreen or deciduous will narrow your identification search. In the western half of the Pacific Northwest, many plants are shade tolerant and can handle a great deal of moisture. This is due to a higher amount of precipitation and humidity in the area. In the eastern half of the region, plants tend to be drought tolerant with smaller growth habits due to hotter temperatures and desert landscapes. Determining which growing conditions exist for your plant will help you in your identification. 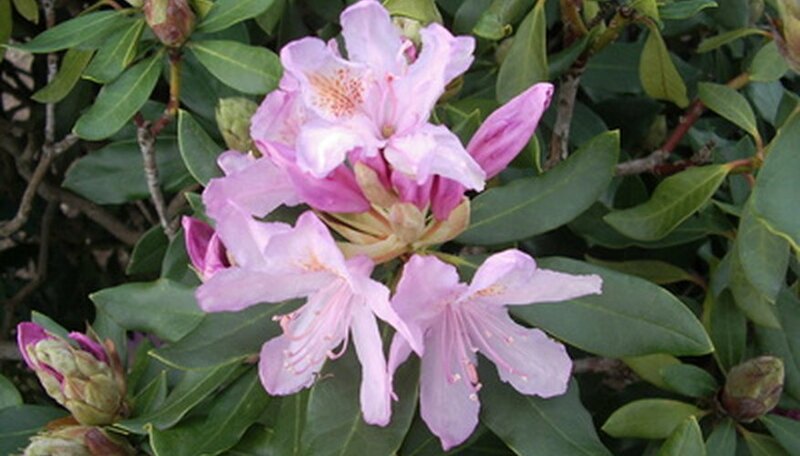 Rhododendrons, for example, thrive in shaded, moist conditions. You will find them in abundance in mountain foothills and coastal forests. Ferns, mosses and fungi are also abundant in the Pacific Northwest, particularly in shaded forests and rainforests. Ferns are identified by their fanlike growth habit. They have compound leaves, meaning multiple leaves grow along one stem. Because of the many species of mosses and fungi, you will almost certainly need a guidebook to assist you with identification. The Lone Pine Guide, "Mosses, Lichens and Ferns of Northwest North America," and the Timber Press Field Guide, "Mushrooms of the Pacific Northwest," are good resources. The diversity of plant species in the Pacific Northwest means that there are several plant identification guides to assist you. "Plants of the Pacific Northwest" by Jim Pojar and Andy Mackinnon, "Plants of Western Oregon, Washington and British Columbia" by Eugene N. Kozloff and "Native Plants: Identifying, Propagating and Landscaping" from the Washington State University Extension office are all excellent resources. Remember to choose guidebooks with plenty of color photos and easy-to-use identification keys.